"Highest quality" is usually a way of saying "expensive." But not at C.W. Smith Jewelers. How can we sell the "Highest Quality at the Lowest Price?" 1) You need to have the highest quality. This is where our 50+ year history comes in. We have relationships with diamond and jewelry vendors worldwide. They understand how picky we are about quality, and can deliver what we require. If a vendor feels we're too picky or demanding, we eliminate them from our list. 2) You need to be able to judge quality. This is where our experienced professionals come in. They have the knowledge to reject the diamonds and jewelry that are not up to our standards. They allow only the highest quality into our showcases. All our diamonds are hand selected ... we never rely on an internet image or certificate rating. 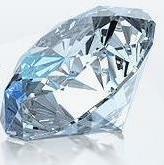 We need to see the diamond ... feel its intensity. It’s a difference you can see in our diamonds, and in every aspect of our store. 3) We are an independent jeweler. Our jewelry isn’t sent to us from a "home office." We individually hand select every diamond and every piece of jewelry. We search worldwide for the best quality at the best prices. 4) Our location, away from the high overhead, high priced shopping areas, allows us to sell at prices below our competition. Other jewelers do not have this advantage. For them to lower their prices, they need to lower their quality. We don't need to lower our quality, and we never will. "Let Our Location be Your Savings." We are passionate about diamonds, jewelry and our customers – it shows in our store, in our employees, and in the diamonds and jewelry we select. We are passionate about helping our customers celebrate special moments in their lives. If you are passionate about selecting the perfect gift for someone special, C.W. Smith Jewelers has the perfect gift for you.